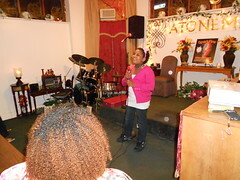 Rapping, Poetry,Singing, Dancing, Miming and Life Changing Testimonies Welcomed!!!! 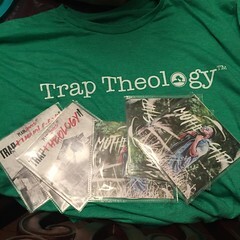 To God be the Glory!!!!!! 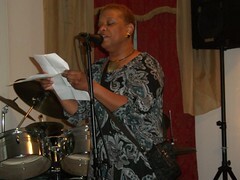 Often times we allow hardships, trials and challenges to stifle our praise/psalms. 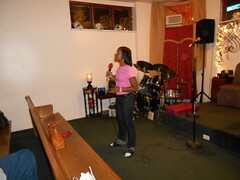 Even when discouraged and frustrated it is necessary that we praise. 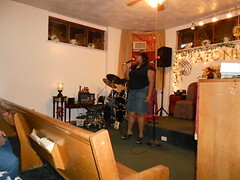 In praise there is deliverance, peace, healing as well as joy. 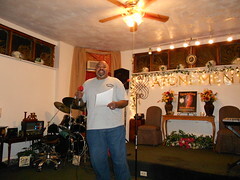 SparkFire Ministries will commit to sharing poetic praises that hope to inspire and encourage you where you are!!! 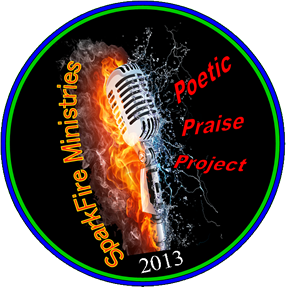 Join us as we launch our “Poetic Praise Project 2013.” Let’s push through to praise. 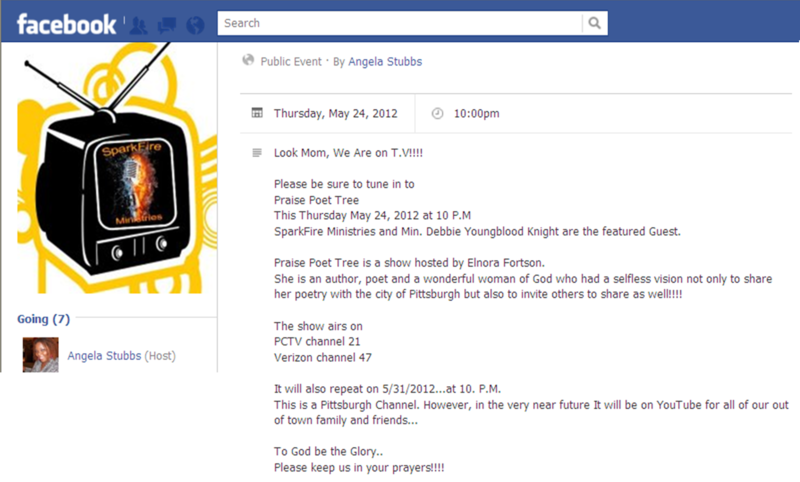 You are sure to be blessed!!!! 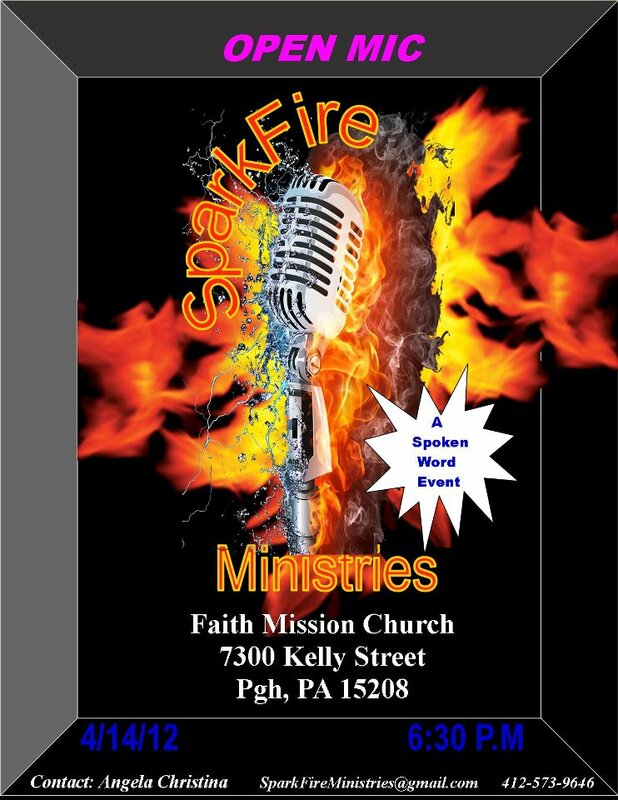 Follow us on Twitter @sparkfiremin and sound cloud!!!! We know that obesity is an epidemic that plagues the nation. Quite often sometimes we allow bad eating habits coupled with no motivation to excercise to lead us down a path to an unhealthy lifestyle. 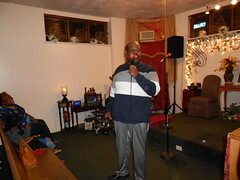 In an effort to tackle obesity in the church and community Gotta Groove Gospel is devoted to encourage people to take steps to an active & healthy lifestyle. 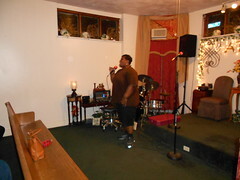 Disclamer: Gotta Groove Gospel is NOT a professional trainer, nutritionist, or dietitian. Always seek professional advice before engaging in any physical activity or any diet or nutrition plan. 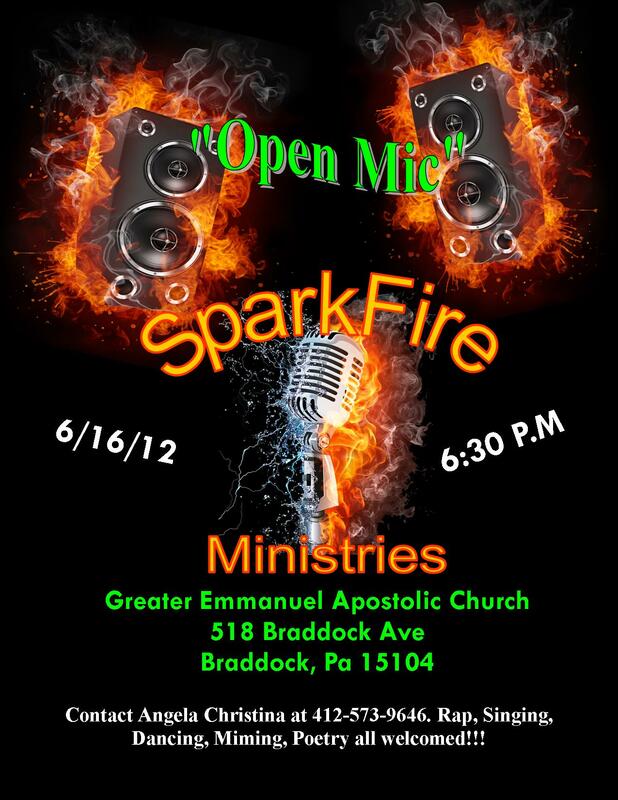 SparkFire Ministries 6-16-12 “Open Mic”- Event invitation created on Facebook. 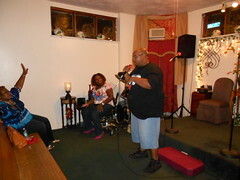 Tune In!!!! 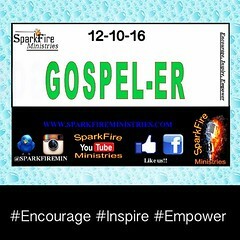 SparkFire Ministries on PCTV channel 21- Event invitation created on Facebook. 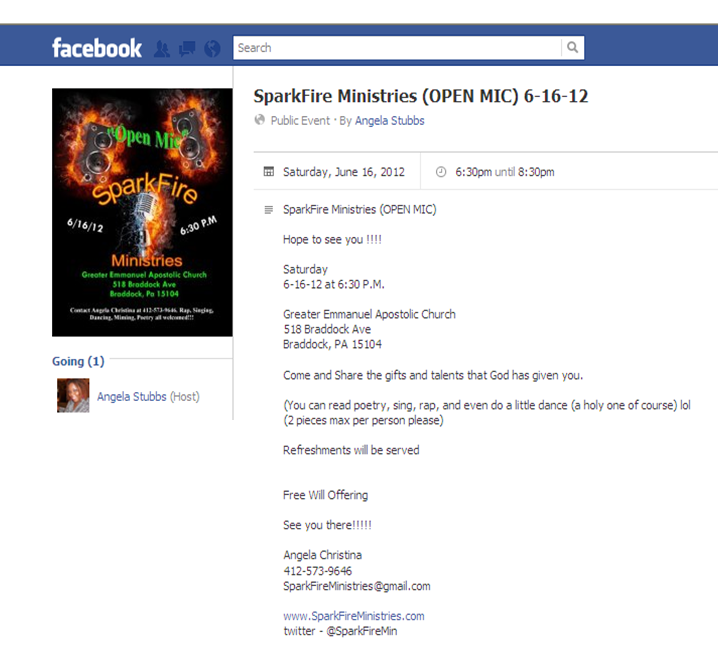 Event invitation created on Facebook.